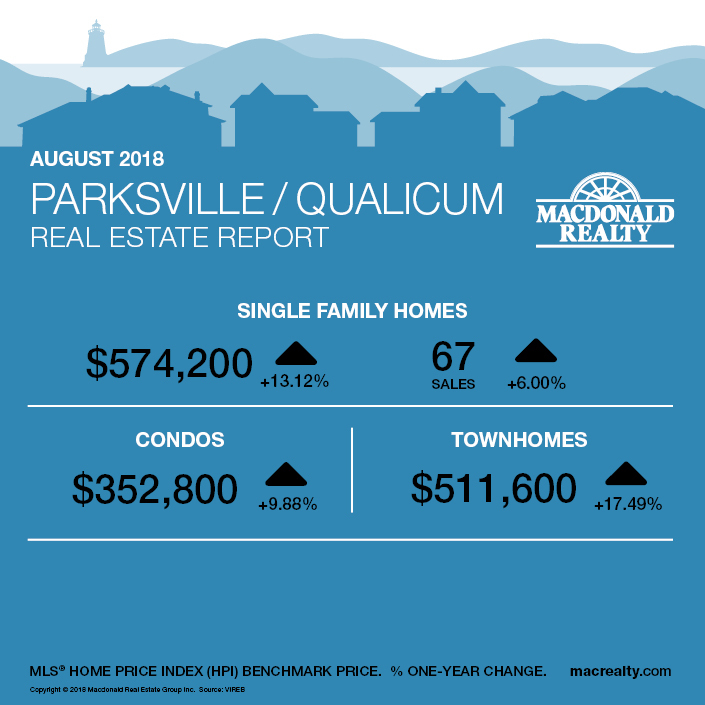 Here are the latest real estate market statistics from Macdonald Realty on Greater Victoria, Parksville/Qualicum, and Nanaimo listings and sales in August 2018. 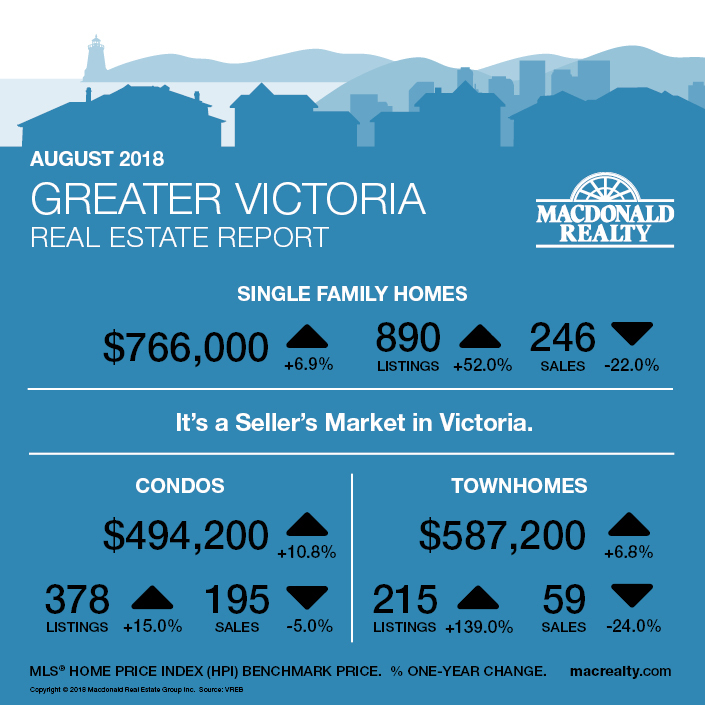 In August 2018, there were 246 sales of single family homes and 890 active listings in Greater Victoria. The benchmark sale price was $766,000 with an average days on market of 39. The hottest markets for sales were Saanich East and Langford with 47 and 54 sales respectively. There were also 14 sales and 173 active listings at the end of the month for waterfront homes. In comparison, the Condo market had 195 sales and 378 active listings at the end of the month. The benchmark sale price was $494,200 with an average days on market of 35. The hottest market for sales was Victoria, 79 sales. Townhome sales were 59, active listings were 215 and the benchmark sale price was $587,200. The average days on market were 37, and the hottest market was Langford with 20 sales. This blog post is based on market data provided by the Victoria Real Estate Board (VREB) www.vreb.org and the Vancouver Island Real Estate Board (VIREB) www.vireb.com. 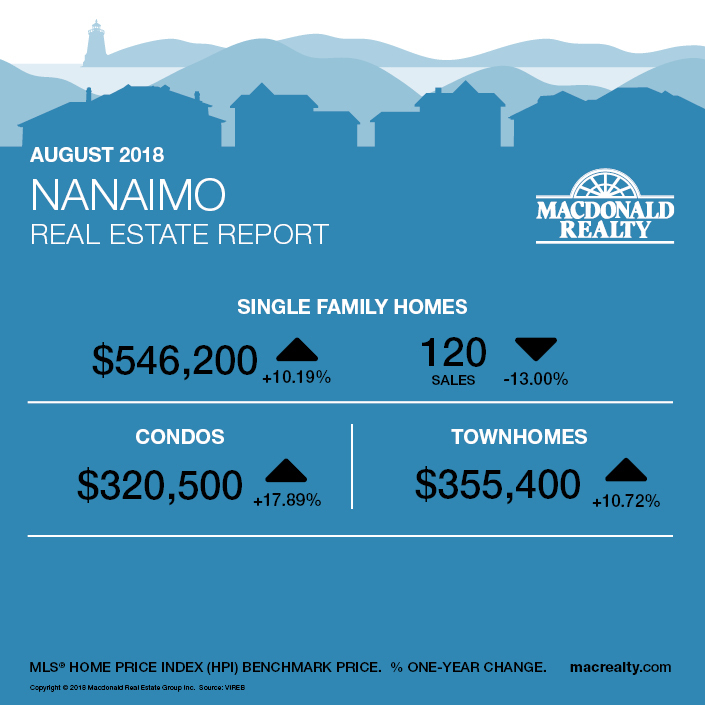 Market data from the VIREB includes listings and sales in Campbell River, Comox Valley, Cowichan Valley Nanaimo, Parksville/Qualicum, Port Alberni/West, North Island, and the Islands.